From the belting howl of Alice in Chains to the fragile refrains of Mad Season, Layne Staley has become a legend in the world of rock singing. Gifted in range, and well trained to boot, seeing Layne Staley singing Them Bones and Down in a Hole on MTV as a kid was a defining moment in my journey towards being a professional musician, and ultimately becoming a voice coach myself. Layne Staley’s voice was as powerful as it was agile – with a powerful mix coordination that allowed ease in the Tenor range while keeping a full and belting sound, Layne Staley was also a master of harmonising with his vocal partner in crime Jerry Cantrell. The haunting harmonies created by Layne and Jerry were a fixture in the 90’s rock landscape, and truly gave Alice in Chains their distinct and unique sound. The sheer power of Layne Staley singing Junkhead, Man in the Box or We Die Young is something truly incredible to behold – a masculine voice with a sensitive and soulful side that melded together into a unique delivery that really is the true essense of the 1990’s for me personally. Over the years, I have learned a lot from Layne’s singing, how easy it sounded when he sang, and just how difficult it really is to sing like that well. Layne’s range soared from low in the 2nd octave to the top of the 5th – from around F2 to F5, which is an impressive feat for any singer. Building this kind of range CAN be done with the right approach and professional voice coaching – follow these top 10 tips for learning how to sing like Layne Staley and you can start building an impressive range of your own today! 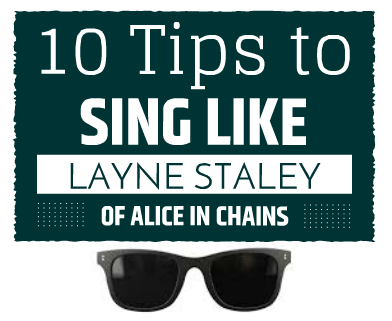 With these 10 tips on how to sing like Layne Staley, I’ll show you my approach for tackling those tricky Alice in Chains and Mad Season songs with confidence, ease and power. Remember, rock singing is all about your approach and delivery – so don’t push, don’t shout and most of all remember to sing naturally and free, Layne had a unique voice, just like you do – so don’t try to copy his voice or force an unnatural sound. #1 – Support is King, but don’t overdo it! Learning to support your voice by developing appoggio singing technique and diaphragmatic breathing is an absolute MUST if you want to learn how to sing like Layne Staley, but make sure you’re not overdoing it. Layne wasn’t forcing or belting unnecessarily to hit his high range, in fact, he sang with ease and a very released tone. If you think he’s forcing and shouting, then listen again carefully – that voice comes out with ease and completely strain free. If you over support, you’ll lock your register coordination and struggle to hit higher notes in the Layne Staley voice range. The Best vocal coach ever! Before sessions with Kegan I knew a lot about singing (SLS, CVT, Ken Tamplin Vocal Academy KTVA and other methods) but couldn’t use what I know. I wasn’t able to apply over-complicated concepts and simply thought that I just have no talent for singing. Sessions with Kegan HELPS me sing songs and understand my voice and use it in way that I always dreamed. I see this all the time, people warbling the “yarl” sound that Layne Staley was famous for without understanding the fundamentals of vowel production and how it relates to your registers. Your vowel sounds are created by a combination of your tongue shape and your vocal tract width – for example, an AH vowel is the widest vowel sound and requires you to sing with a low and concave tongue, where an EE vowel is the most narrow and requires you to sing with the back of your tongue up towards the roof of your mouth. This is KEY to singing like Layne Staley as he was a master at vowel sounds – big, open, resonant vowels. This is another one that is often confused with pronunciation – twang is a literal narrowing of the top of the epiglottis, leading to an amplified resonance along the pharynx, causing the buzzing ‘twang’ that you hear in both Layne Staley and Chris Cornell’s voices – this has nothing to do with pronunciation and ‘twanging’ your vowels in a country sense. Learn how to manage twang properly to increase your power and create your vowels with very little effort – but take care to learn twang in the right manner without increasing actual nasality or mangling your vowel sounds. Learning to sing with twang should replace the concept of ‘volume’ in your voice – instead of trying to sing louder, you should instead sing naturally and resonant while adding a touch of twang to taste and style. Tuning your vowels for the most powerful resonance throughout your range is an imporant part of any powerful singing technique, and is something that Layne Staley excelled at and truly used to his advantage. Using a narrow vowel coordination allowed him to sing with a full and connected voice well up into his high range, and using a touch wider vowel width was able to turn this relaxed and full resonance into a powerful belt without having to yell or push – this is what you hear in Man in the Box and Love hate Love – powerfully controlled belting that was intentional, confident and well within Layne Staley’s voice range without the need for pushing or straining. Tune your vowels properly to gain access to your high range in a connected and resonant way. Vowel tuning is a more advanced version of vowel modification, which in itself is a great introduction to resonance tuning, but ultimately too general to fine tune your vowels in a fluid way when you’re singing actual songs. Where vowel modification requires you to modify the character of each of your vowel sounds through the difficult passages and resonator changes that occur in your high range – vowel tuning requires individual control of the musculature responsible for how these vowel changes work, in essence allowing you to fine tune your resonance like vowel modification could never do. Don’t get me wrong, vowel modification is a powerful and useful singing technique, but I prefer to create a much more controlled and accurate resonance in my student’s voices. I know, it’s counter intuitive, but if you think about it – Layne Staley was simply singing in his natural voice while developing his own approach and character. If you copy the “Layne Staley Voice” you’re in essence doing exactly the OPPOSITE of what Layne Staley was doing when he sang. Develop the concepts that Layne Staley excelled at, such as controlling twang, tuning his resonance, mastering his vowel sounds and singing in the MIX coordination – is the only way to truly gain a voice that sounds like Layne Staley. Layne Staley singing was simply that – Layne Staley singing. He wasn’t putting on a voice, or trying to contort his natural resonance, he simply sang in his own style with his own natural voice. If you wish to build a voice that sounds like Layne Staley, then you need to SING the way he sang, rather than trying to SOUND like he sounded. Layne Staley was a master at singing in the MIX coordination- did you know that belting ONLY occurs in the middle register? That’s right, to build a powerful belt voice like Layne Staley sang with, you first need to access and develop your mix coordination. 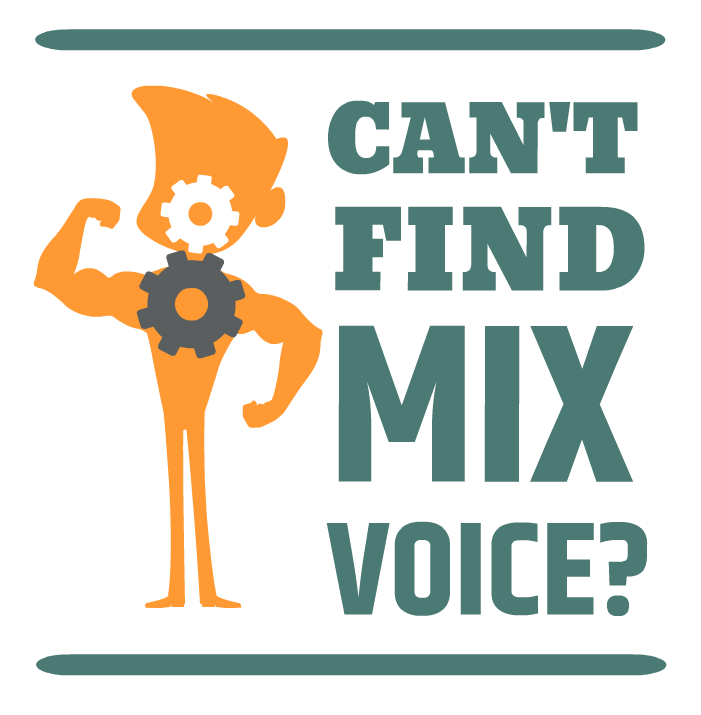 Middle voice is the central coordination of the muscles responsible for your chest voice, and the musculature which gives you head voice – learning to join these two main registers in the middle will give you a powerful and important extra third register, known as the MIX voice. That’s right, songs like Man in the Box and Junkhead are not a result of Layne Staley yelling, they’re a result of a powerful coordinated voice that has been trained, tuned and implemented in the right way to create this powerful high range without straining. Yelling is a result of poor vocal technique and improper use of your voice – if you are yelling high notes, then you are simply not singing higher notes in the right manner. -> Show me how to sing in MIX voice! Singing like Layne Staley, like any good singing voice, often requires balancing your voice in the middle of two extremes. We don’t sing in pure Chest voice or pure head voice – we should sing in mix, just like we shouldn’t sing with a breathy onset, nor in a closed glottal onset – we should instead sing in a balanced onset. A balanced onset not only sounds better and allows you to sing consonant sounds without straining or pushing, this onset is also the ONLY healthy way to create vibration and resonance. Learning how to balance your onset in this coordinated way will make you sing better, while keeping your voice safe, confident and consistent. If you listen carefully to Layne Staley singing, you’ll hear that his consonant sounds aren’t forced, popping or bursting out of his mouth. This is because he had a powerful approach to singing consonants and was in control of every aspect of his voice, from registers, to onsets, to breath support to consonants. I personally like to group my consonant sounds into their individual types, and then form an approach with each of my students to cater to their unique voice type, vocal idiosyncrasies and of course their accent. Different languages and voices experience issues with different consonant sounds, so make sure your singing approach includes a tailored and specially designed approach to consonant sounds. Now, each of these groups will require a unique approach in your voice due to your accent and physiology of your vocal tract, but as an example, I like to replace a Y sound with a pure EE vowel, so a word like “YES” would become “EE-ES”, and I also like to interchange my plosives, so a troublesome word like “Pair” could actually be created more easily with a silent “B”, like b-EH/OO-r. Of course, this is unique to my own voice – your singing requires a whole different set of consonant approaches to allow you to sing ANY word in ANY song, and of course sing like Layne Staley without straining or forcing your consonants. This was a key point in learning how to sing like Layne Staley myself. As a low baritone, my voice simply behaves differently to Layne Staley when we are singing in the same register, because, where Layne is singing in his first Octave, I’m likely already into my second Octave and need to tune my vowel differently while singing in a different part of my registers. Your voice is YOUR voice, so don’t try to make it behave the same way someone else’s voice behaves. Get to the essence of what your favourite singer is going for, and the important aspects of your tone, and then develop these individual aspects in your own voice in a NATURAL way so that you can coordinate your voice just like Layne Staley did, without copying his sound. A great place to start with learning how to sing like Layne is this exclusive singing lesson, designed specifically for singers like you who want real answers to your questions, and practical techniques and tips that will help you sing the songs you want to sing, in the WAY you want to sing them. Foundation 101 will put the keys to your voice and the keys to your own singing progress and continued success in your own hands, and allow you to make continued progress and gains, and best of all you can work thrjough the course at your own pace and take your time to perfect the voice of your dreams. 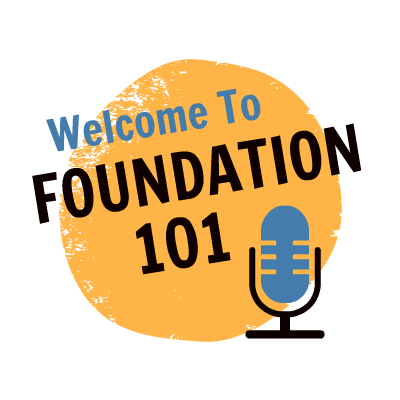 If you want to sing like Layne Staley, Foundation 101 is a great place to start! If you have any questions about learning to sing like Layne, feel free to leave any feedback or questions below! You have re-sparked my interest about singing again, and I would love to improve! I am glad that I have found your web site, and i’ll be back often to read your postts, watch your videos and book a Skype session with you soon. Thanks Clark! So pleased to light that spark for you – let me know if you have any questions about your voice so far. See you soon for a Skype session!